1.As an interviewer, YOU set the tone for the interview. 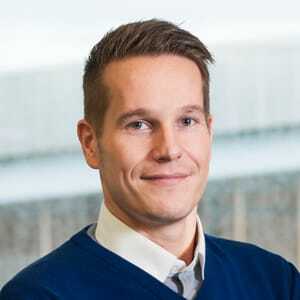 ”Video interview was a smart and cost-effective way to complete the first round of the selection process and this saves time and resources for both parties. *******’s style to present the questions was positive, not too serious or official – viewing her videos left me with a positive feeling and gave me a good point where to start with my own answers! A+ for video interviews from me!" As can be seen, your example sets the tone for the whole interview, so pay attention to it. Think through how you want to present yourself - it can have a huge impact on the candidate’s experience and your employer brand. If you want candidates to be relaxed – be relaxed in your own videos. If you want them to be official, be official yourself. Very simple. 2. State your questions clearly and DO NOT forget to mention how long you want the answers to be. This also has a huge impact on the candidate’s experience. With vague questions you’ll get vague answers. If that’s not what you want, think your questions through one more time before inviting candidates. Considering the time aspect - we haven’t set a certain time limit for the answers, it’s up to recruiter to state that. Don’t forget to do it. We recommend maximum 2 minute answers. 3. When done properly, video interviews help you stand out as an employer. 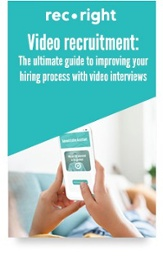 These practices should help you make the most out of your video interviewing process, resulting in more effective recruitment and better overall candidate experience.